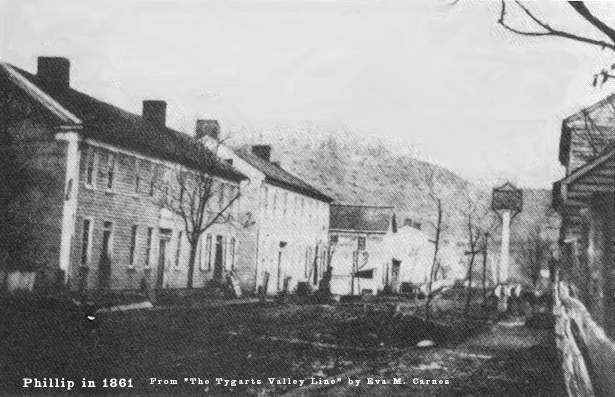 After some initial and inconclusive skirmishing around Grafton, the Confederates fell back to Phillipi in order to continue organizing their volunteers and militia forces. Major General George B. McClellan, commanding the Federal Department of the Ohio, was charged with securing the loyal counties of western Virginia and protecting the B&O Railroad. He sent troops across the Ohio River at Parkersburg in answer to the Confederate attacks on railroad bridges. On the morning of June 3, these Federal troops surprised the Confederates in Philippi. Brigadier General Thomas A. Morris had planned a two-pronged attack on the town. Colonel Ebenezer Dumont of the 7th Indiana Volunteers, with about 1,500 troops and two fieldpieces, would attack on the direct route from the northwest. When he reached the town he established his cannons on the hill overlooking the covered bridge, and opened the attack from that point. Col. Benjamin F. Kelley of the 1st (West) Virginia volunteers was to move south from the railroad down to the Beverly-Fairmont Turnpike southeast of Philippi, then surprise the Confederates in their rear with his 1,900 men. The plan was frustrated by driving rain and unfamiliar terrain, and Col. Kelley's forces ended up on the wrong road. They had barely reached the outskirts of the village when they heard the sounds of Dumont's attack and rushed to join in, but they were approaching on the north side of the town, leaving the turnpike clear to the southeast. Surprised and outnumbered, the Confederates fled down the turnpike to Huttonsville, in an encounter often known as "the Philippi races." Not yet jaded by the horrific carnage that the Civil War would make routine, and eager for any morale and propaganda advantage, the Northern press played up the brief, inconclusive skirmish. Although the Confederate flight was seen as a debacle, and Porterfield lost his command, the Rebels did retain most of their troops, and the Federal attempt to capture the entire force in one swoop failed. Those involved would soon meet on other fields.